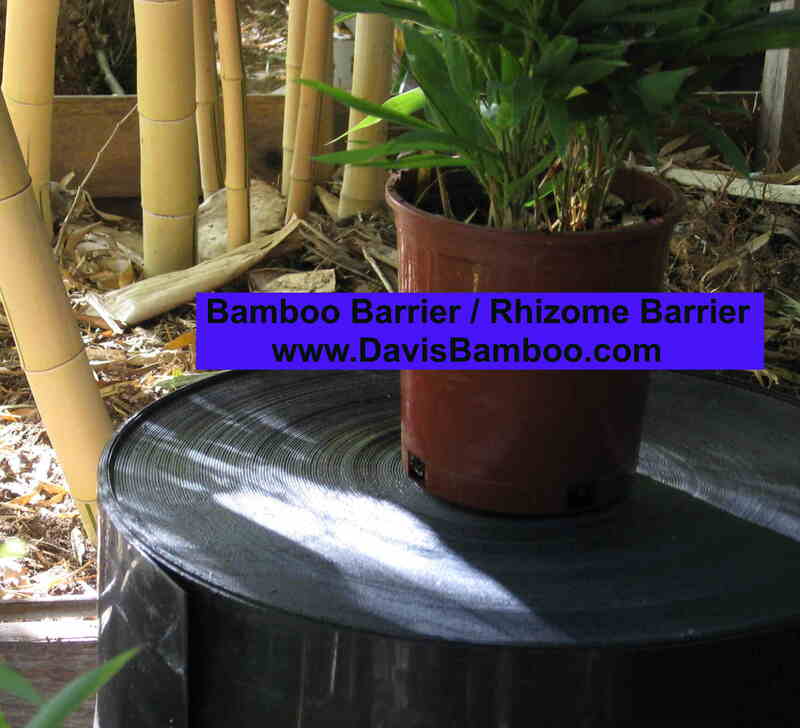 Rhizome barrier is often installed in either a fully-enclosed or a single-sided arrangement to control running bamboo. 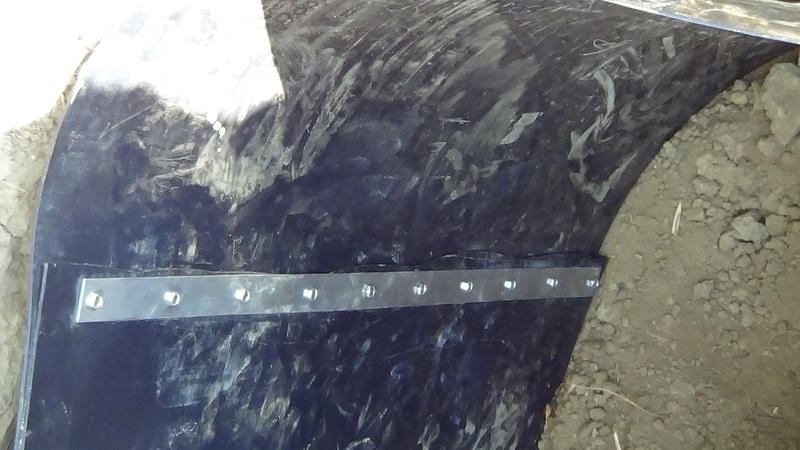 The pictures shown below demonstrate the installation of fully-enclosed rhizome barrier. 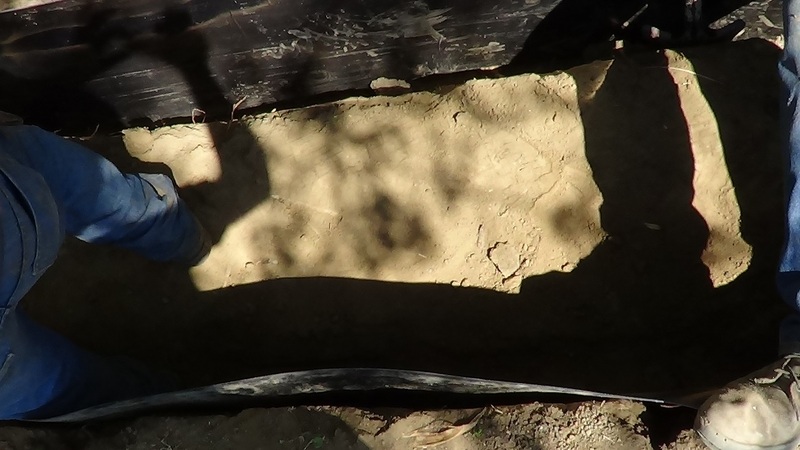 To do this with 30" rhizome barrier a 28" deep trench is prepared around the perimeter of the bamboo growth area. 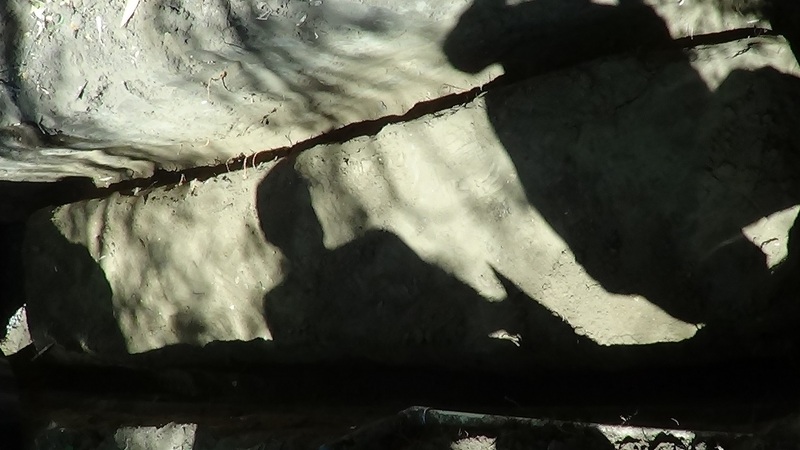 The barrier is put into the trench so that it protrudes from the ground by 2". The ends of the barrier are brought together, holes are drilled for the closure strip, and the closure strip is bolted into place. Inside the rhizome barrier the bottom 16" of soil should be compacted hard soil, it also can be useful to have a 5" layer of red lava sand at the very bottom as running bamboo rhizome do not spread down through a thick layer of red lava sand. 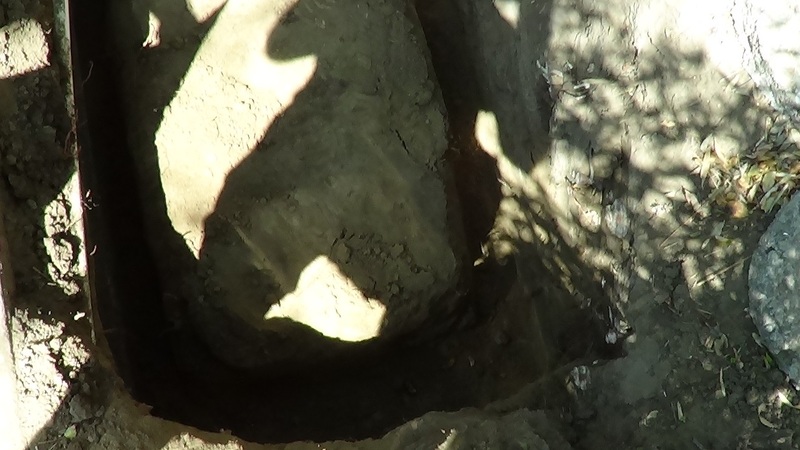 The top 12" of soil should be a nice growth medium for the bamboo, often a mixture of topsoil and planter mix or compost is used. 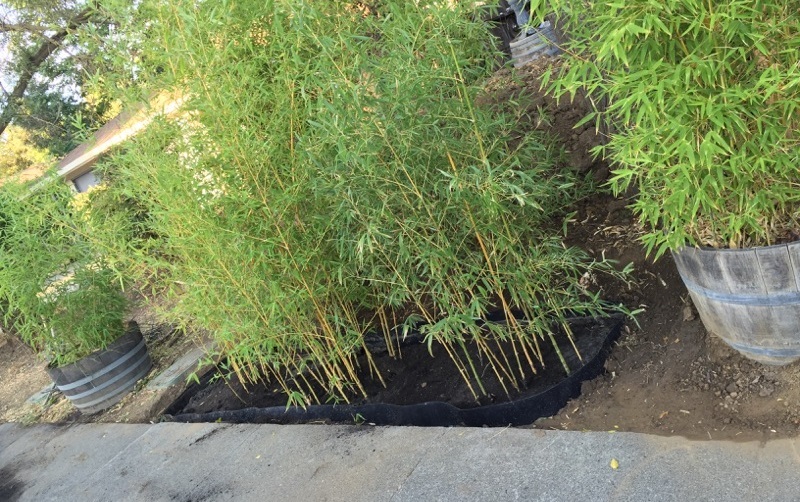 In a single-sided rhizome barrier installation the barrier is often put in the ground a foot away from a fenceline to block the spread of the bamboo into the neighbor's yard and rhizome pruning is used to prevent the bamboo from taking over the yard where it is planted. In both installation scenarios the perimeter of the barrier will need to be monitored a couple of times per year to insure that rhizome does not go over the top of the barrier and into the ground outside the designated growth area. When monitoring the area, any rhizomes that are tracking along the inside of the barrier or are starting to go over the barrrier should be cut with garden clippers or loppers. 1) We provide an on-site inspection of the area in question and provide a flat-fee quote for bamboo barrier installation. 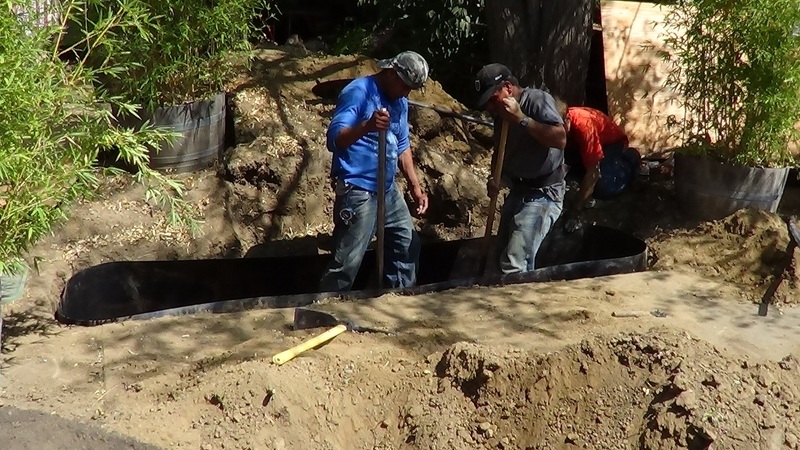 There is a fee for the on-site inspection, usually $100-$200 depending upon your location and the amount of time we have to spend on-site. This fee can be deducted from the cost of the barrier installation. 2) When we install the barrier our team of insured professionals will arrive in the morning and in most cases we can complete the job in one day. We can provide one-sided barrier installation and fully-enclosed barrier installation and we typically use our 80 mil x 30 inch barrier. 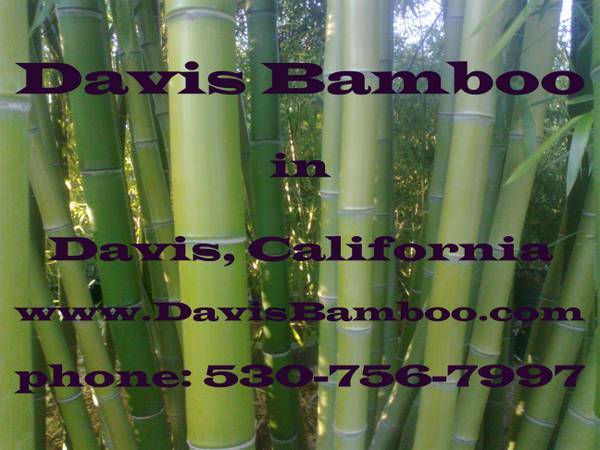 Sacramento Area Bamboo Nursery. 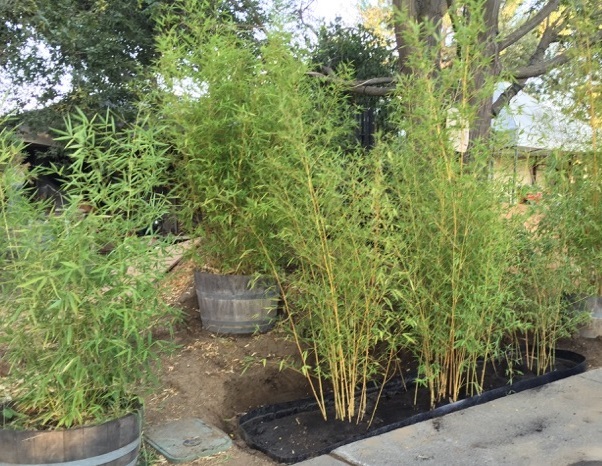 Bamboo Plants for The Sacramento Valley and The San Francisco Bay Area.